Navy Yanks Admirals' Access To Classified Material : The Two-Way Two of the nation's top naval intelligence officers, Vice Adm. Ted Branch and Rear Adm. Bruce Loveless, have had their access to classified material suspended in connection with a bribery scandal involving a Singapore-based contractor. Vice Adm. Ted Branch, the director of naval intelligence, was one of two top officers to have their access to classified material suspended. 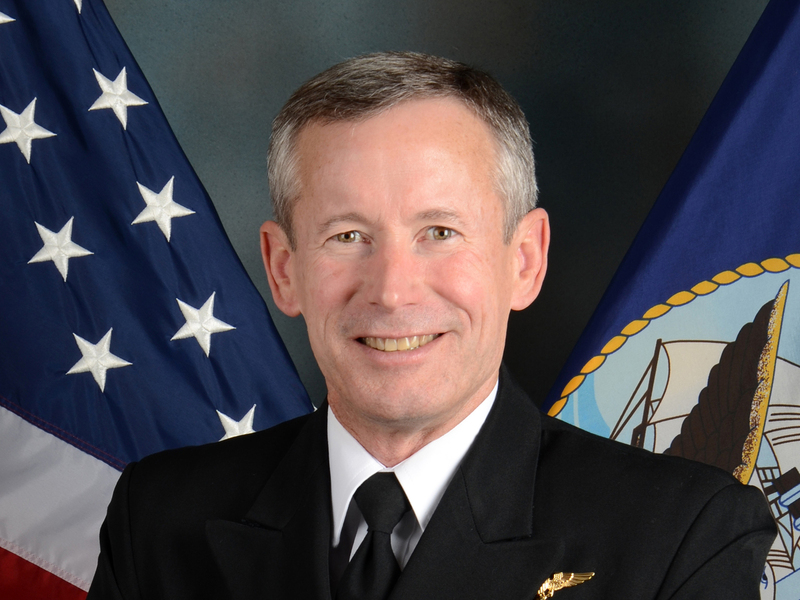 Two of the nation's top naval intelligence officers, Vice Adm. Ted Branch and Rear Adm. Bruce Loveless, have had their access to classified material suspended in connection with a bribery scandal involving a Singapore-based contractor. A decision was made to pull access for Branch, the director of naval intelligence and Loveless, the director of intelligence operations, due to the "nature of allegations" against the two "in connection with an ongoing Naval Criminal Investigative Service (NCIS) investigation into illegal and improper relations with Leonard Francis, CEO of Glenn Defense Marine," according to a statement released by Rear Adm. John F. Kirby, the Navy chief of information. investigative process," the statement read. "The allegations against Admirals Branch and Loveless involve inappropriate conduct prior to their current assignments and flag officer rank. There is no indication, nor do the allegations suggest, that in either case there was any breach of classified information." The move follows the arrest of a third officer in the growing bribery scandal that allegedly involves delivering classified and other sensitive material to Glenn Defense Marine, which resupplies and services Navy ships in Asia. In exchange, the officers allegedly were provided with prostitutes, luxury travel and cash, according to prosecutors. "The bribery case is shaping up as the biggest the Navy has confronted in years. Another Navy commander and a senior investigator for the Naval Criminal Investigative Service were arrested in September, likewise on charges of providing inside information to Glenn Defense Marine in exchange for prostitutes and other favors. "A Navy captain who is also under investigation was relieved of his ship's command last month, although he has not been charged. "In charging documents unsealed Wednesday, federal investigators said Sanchez gave classified ship visit schedules and other information to Glenn Defense Marine starting in 2009, when he was serving as a senior logistics officer for the Navy's 7th Fleet in Japan. The arrangement continued until Sanchez transferred to Florida in April, court papers say."